There are 3 Memory Care Facilities in the Macon area, with 2 in Macon and 1 nearby. The average cost of memory care in Macon is $2,825 per month. This is lower than the national median of $4,650. To help you with your search, browse the 3 reviews below for memory care facilities in Macon. On average, consumers rate memory care in Macon 4.3 out of 5 stars. Better rated regions include Warner Robins with an average rating of 5.0 out of 5 stars. Caring.com has helped thousands of families find high-quality senior care. To speak with one of our Family Advisors about memory care options and costs in Macon, call (855) 863-8283. Macon-Bibb is a consolidated city-county with the town of Macon as the joint county seat. The population is 152,663 with around 24,000 seniors age 65 and older who are in the age group most likely to develop Alzheimer's disease or another form of dementia. 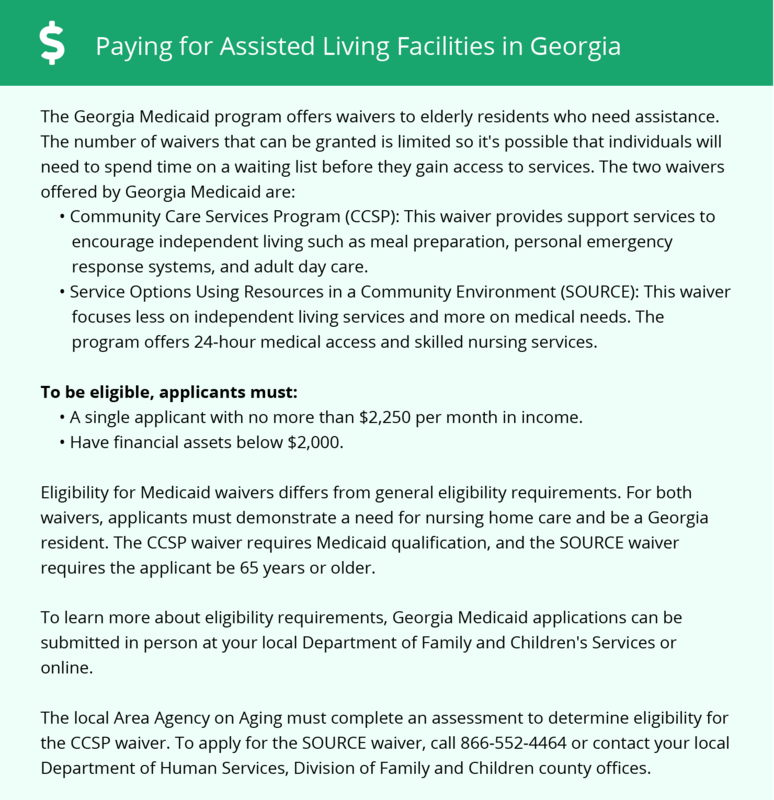 The state of Georgia licenses and governs memory care units to supervise and house patients who require more care than a family can provide. The Georgia Department of Community Health monitors the training of staff members and the living conditions of the patients. Six of these facilities are in the Macon-Bibb area. Residents age 65 and above benefit from the relaxed Georgia tax laws. Social Security payments and pensions aren't taxed, and property may also be exempt from taxation. Additionally, the first $65,000 a retiree earns annually isn't taxed either. Sales tax ranges by community from 4 percent to 8.9 percent. Lower taxes can mean more money for healthcare for memory care residents. Sperling's Comfort Index for Macon is 69, where 100 represents perfect weather every day. The average rainfall is 7 inches more per year than the U.S. average of 39. Macon sees 219 sunny days a year, which is 14 days more than the national average. In summer, high temperatures are around 92 degrees, and winter lows stay above freezing at 34. Seniors who enjoy warm weather will appreciate the climate. Violent crime is rated 58 on a scale of one to 100 with 100 being the most and one being the least amount of crime, and a national average of 31.1. Property crime was also higher in Macon than across the nation with 87.8 as opposed to the U.S. average of 38.1. Memory care units have additional modes of protection from crime for their patients, such as security cameras, auto-locking doors and guards. Ask what safety precautions are in place at a prospective facility, so you can rest easy. On a scale with the U.S. median cost of living at 100, Macon's rating is far lower at 79.6. Housing is quite low at 39, which is 50 points less than the Georgia norm and 60 points below the national housing average. This can help offset the slightly higher-than-median healthcare expenses. Memory Care costs in Macon start around $2,825 per month on average, while the nationwide average cost of memory care is $4,798 per month. It’s important to note that memory care rates in Macon and the surrounding suburbs can vary widely based on factors such as location, the level of care needed, apartment size and the types of amenities offered at each community. Macon and the surrounding area are home to numerous government agencies and non-profit organizations offering help for seniors searching for or currently residing in an assisted living community. These organizations can also provide assistance in a number of other eldercare services such as geriatric care management, elder law advice, estate planning, finding home care and health and wellness programs. To see a list of free memory care resources in Macon, please visit our Assisted Living in Georgia page. Macon-area assisted living communities must adhere to the comprehensive set of state laws and regulations that all assisted living communities in Georgia are required to follow. Visit our Memory Care in Georgia page for more information about these laws.